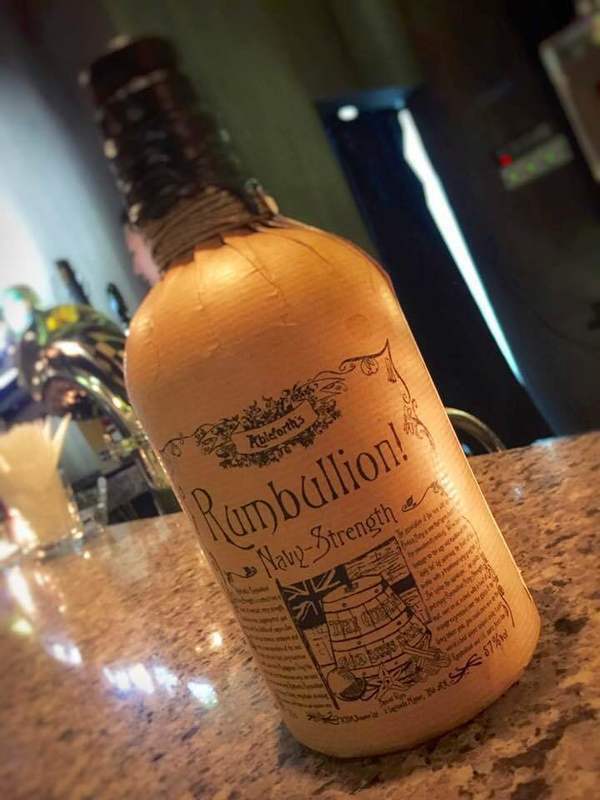 Have you found an online vendor selling Rumbullion Navy Strength? Tried this at the uk rum fest. Best spiced rum I’ve had. I thought it might be a bit too strong but no, it hit my taste buds just fine. I have this and the XO and find this one needs a little water to make it drinkable. Spicy yet not overspiced. fantastic rum, straight or mixed, surprised by how good it was (and I was initially put off by the slightly gimmicky bottle design), ableforth has got rum right, and I would recommend a try!. i gave the spiced original version a 9. As others have mentioned , it still has all the spicy tastes of cloves , orange zest etc but the alcohol is bumped up to 57%.. Now i thought i would enjoy this Christmas type offering more than the original , but i was wrong. Still very good but for me it's a bit too much to sip although it makes an excellent cuba libre or dark n stormy. Sweet, but complex nose. Vanilla, orange, artificial cherry, hint of cinnamon and cardamom. Very sweet on the palate. Does quite a job masking the high alcohol content. Surprisingly smooth. Good for a sweetened spice rum. Should be great in eggnog. But just not my style. Unique Xmas cake in liquid form. If you like spiced rum, this is absolutely must try. Great rum. Only just discovered this. Just add a couple of ice rocks. Another beauty from Rumbullion! A fantastic sipping rum, strong and deep bodied flavour, a wonderful flavoursome spice. More please! This rum is similar to the Rumbullion spiced, though I find the spice to be even more intense on this one. Maybe a little too intense. :-) This can be drank straight without mixing, as it's not a full 'overproof' at 57%abv. Like the Rumbullion spiced, this smells and tastes of peppercorn, cinnamon, vanilla, and orange. But the spice is more dominant, putting the vanilla and orange a little more to the background. I personally prefer the regular Rumbullion spiced, though this comes close, and might even be better for those that prefer a little more 'kick'. If you love spiced rum you're going to have to try this. Positively bursting with flavor, helped by being bottled at 114 proof, it will warm you up in one sip, and burn you to a crisp after a few more. The tasting notes at Master of Malt (where I bought it) are perfectly accurate: orange zest, cola syrup, vanilla, cardamom, cinnamon, cloves, caramel and oak. Some sugar, of course, but it's not too sweet. The after-taste lingers forever. I love it straight up, but if you drink rum and coke or Painkillers, you'd be in Heaven with this rum. A winner. Nose def. need some water to open up, lots of it. Alcohol is quite heavy before watering. With water comes the mulled wine pouring in! WOW! Mulled and spiced wine is fairly big around christmas in Sweden and this rum is right up there with the best - mulled wines that is. Its heavy on the typical christmas flavours- cardemom, cinnamon, almonds, dried fruits. This is a real christmas drink and its growing on me now that I know what to expect. Not the typical rum though, more of an alcohol heavy mulled wine! Bit stronger than what I am used to, but after mellowing it down with an ice cube it reveals its smooth taste. Vanilla, citrus fruit and a tiny bit of cardamom. After pouring let it rest to reveal its full taste and begin sipping. Kořenitý luxusní rum dle tajného receptu. Vyníká mezi ostatními rumy především svým kořenitým aromatem a chutí, ve které vyniká kardamon. all the flavour packed into the regular rumbullion but with an extra punch of being 57%. a lovely colour but where the regular could be drank straight up, i think this needs ice to lessen the blow. This is superb. Aromatic cloves and cinnamon with orange I think. Thick in the glass, a gorgeous dark amber colour, and a warm flavour made me very festive. Bottle just won't last very long but while it does I'm enjoying it to the max.